The death of a loved one is traumatic at the best of times, but when it occurs abroad it can be that much more difficult for family and friends who may be at a loss about how to bring the deceased home. Located in a restricted zone in Tokyo’s Haneda airport, a short walk from the international arrival and departure gates, is a company that operates in obscurity, dutifully performing its solemn task when a person, Japanese or not, dies far from home. 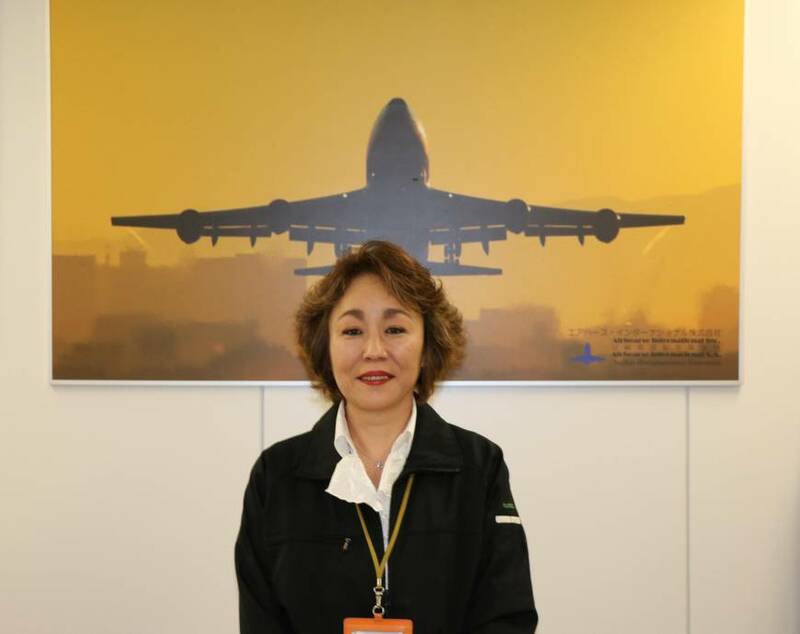 Airhearse International Inc., under the leadership of President and Representative Director Rie Kimura, is exclusively in the business of repatriating mortal remains from Japan and abroad. Handling a death that occurs overseas is a complex process involving several administrative procedures, including obtaining the requisite documentation and ensuring the cremation or embalming of the body, not to mention the often hefty cost of transporting human remains. Airhearse prides itself on running a mortuary service that stands above the run-of-the-mill funeral parlor. According to a 2015 study by the Foreign Ministry, 533 Japanese died overseas that year. “In most cases Japanese have travel insurance, and when something happens, we get a call from the insurance company and the case begins,” Kimura, 56, said in a recent interview at the company’s office. “Recently many people who are used to traveling just use their credit card (coverage) and think to themselves, ‘It’s OK, nothing ever happens.’ It’s these people that something happens to,” she said, pointing out the often limited coverage provided by credit cards in the event of death overseas. Since its establishment in 2003, Airhearse has been involved in transporting the remains of many Japanese, even those who have died in high-profile incidents, including the 2004 Indian Ocean earthquake and tsunami, and the 2016 Dhaka terrorist attack in which seven Japanese hostages were killed. The six-person operation, which occupies office space in Tokyo International Air Cargo Terminal, has also dealt with its share of foreign expats or vacationers who have died in Japan. “For foreign nationals, we carry out (to the letter) the compliance laws of Japan. In this respect, we are completely different from your typical Japanese funeral parlor” that might skirt certain procedures, Kimura said. According to the health ministry, 6,915 registered foreign nationals died in Japan in 2016. Many of them were presumably repatriated or may have had their remains interred in Japan, albeit at a high price in a country that faces a scarcity of plots. There are also foreign tourists or lone travelers with little connection to Japan who might be involved in an accident or other incident, making the handling of their death all the more delicate. In an average year, Airhearse handles about 80 to 120 deaths in all — probably close to about 70 percent Japanese and 30 percent foreigners. Kimura talked about extreme cases, such as particularly violent suicides where the corpse required a lot of repair before the appropriate embalming techniques could be carried out and the body transferred to the next of kin. She recalled a case of a solo traveler in Japan. “The person jumped from a hotel window and was impaled by a park fence,” Kimura said, adding that in situations like this, Airhearse will make every effort to restore the body to its best possible state. In all cases dealing with non-Japanese, Airhearse does its utmost to repatriate remains according to the religion and customs of the deceased, Kimura says. For example, whereas Hindus in India allow for embalming, Muslims, as a rule, do not. “We have to figure out what to do, but we always confirm their religion,” she said. In one particularly tricky case, Airhearse stepped in to assist the return of an elderly woman from Japan to war-torn Afghanistan during the Taliban insurgency after a local funeral parlor failed to carry out the family’s wishes. Due to the insurgency, part of the family had fled to Japan while the woman, who was ill, escaped to Pakistan. Kimura described how the son, whose family were Muslims, wished to have his mother’s body repatriated for burial in Afghanistan despite the fighting going on there. But he eventually acquiesced to having her placed in one of the few Muslim cemeteries in Japan. 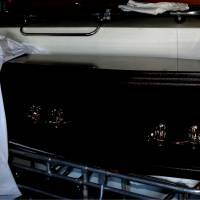 However, the granddaughter called Kimura, saying that a local funeral parlor in Kitakyushu had transported the body by hearse to Yamanashi Prefecture. After they arrived, they discovered that not only was there no religious representative to perform the rites, but a power shovel was being used to dig the grave. Kimura told the granddaughter that because there were no commercial flights available, even from Dubai to Kabul, it could only be done by a special charter flight. Although initially upset about the high cost, with no choice available the granddaughter convinced her father to hire Airhearse. “This was the first time something like this was done from Japan. We sought out a special route and were able to have them do the proper burial in Kabul. It was an extremely difficult case,” she said. Respecting religions and customs is just one aspect. 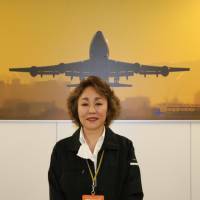 According to Kimura, strictly carrying out administrative procedures, including ensuring that death certificates are obtained and bodies are properly embalmed for transport to clear quarantines and airport customs, is at the heart of Airhearse’s business. 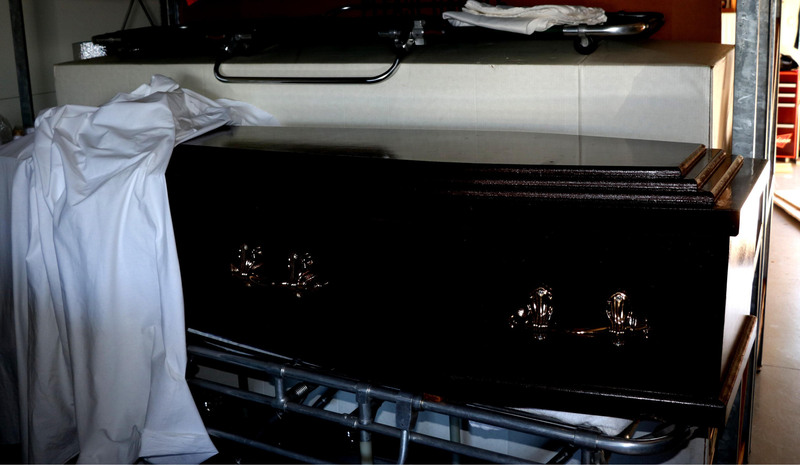 Embalming done improperly, which Kimura talks about in the second installment of this series, can lead to some fairly devastating results in the preparation of a body for international repatriation. The final installment in this series will appear in the Dec. 7 edition.